The Townie Bike Everyday Ball Cap (not a trucker hat)! Designed by our staff in New Bern, NC. 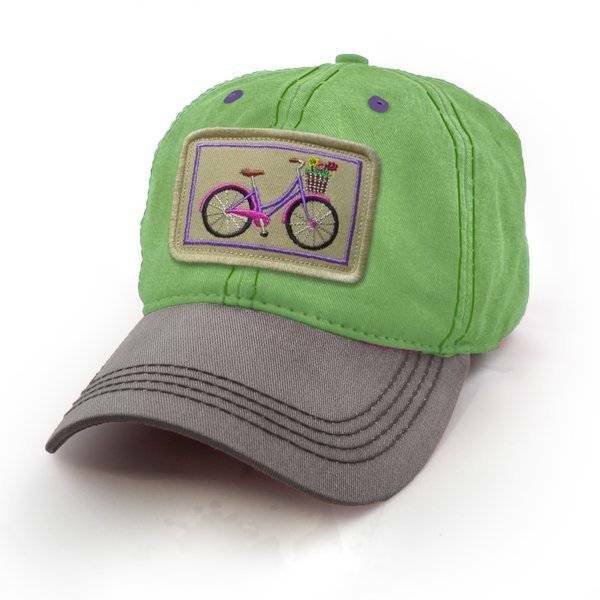 The Townie Bike Everyday ball cap has a soft hand to give it a worn-in feel. Hat is adjustable with a Velcro strap. The bill has a natural bend. The bill is grey and the crown is lime. This is not a trucker hat but a 100% cotton twill ball cap. Only at State Legacy Revival!